Pioneers in the industry, we offer polymer admixture, styren butadiene polymer admixture and polymer sbr admixture from India. With the assistance of our team of qualified professionals, we are actively engaged in offering supreme quality Polymer Admixture. 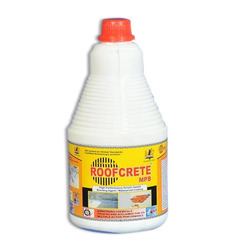 The offered polymer admixture is widely praised among customers for its purity & quality. 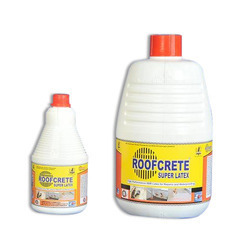 This polymer admixture is processed by utilizing top-notch quality ingredients as per the set industry norms under the observation of our experts. Additionally, patrons can avail this polymer admixture from us at market rates. Backed by an adept team of professionals, we are offering Styren Butadiene Polymer Admixture. The offered polymer admixture is processed with the best grade ingredients and leading technology according to the quality standards. This polymer admixture is available in various customized packaging options. Our polymer admixture is tested by our quality controllers on various parameters in order to make certain their quality. We have carved out a position in manufacturing, and supplying the best quality Polymer SBR Admixture. The offered polymer admixture is precisely processed using premium quality ingredients and advance technology in accordance with quality standards. This polymer admixture is available in seal packed packaging in order to ensure its purity. Moreover, customers can avail this polymer admixture from us at reasonable rates. Coverage: 20-22 sft. per Kg. 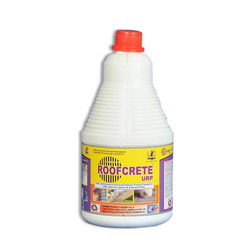 in 2 coats for a proportion mix 1:1 (Roofcrete URP Cement). Looking for Polymers SBR Admixtures ?